Public construction is fraught with challenges. A KPMG survey of construction project managers in 2015 found that 90 percent of public sector building projects failed to come in on time and on budget. Choosing the appropriate project delivery method and corresponding procurement strategy can set the stage for project success or failure. Therefore, procurement managers play a key role in successful construction project delivery. The traditional design-bid-build approach aims to secure the best price for a given construction project. The owner or owner’s representative works with an architect/engineer to design the project. That design package is publicly advertised, inviting bids from any interested responsible contractor. On bid opening day, the construction contract is awarded to the lowest responsive bidder. This approach is favored by both the contracting and the design communities, because it allows open competition which should result in the best price. This process works well for relatively well-understood and thoroughly designed projects. However, if there are critical time frames that need to be met, or the project is particularly complex, with unknown risks or variables, a public owner may prefer to use one of several alternative approaches. Forty-eight states and the federal government use Job Order Contracting (JOC) in public works procurement. The JOC method is a convenient way for public agencies to quickly and easily complete common, small to medium-sized, public works projects. The JOC procedure allows public agencies to establish job order contracts with a construction contractor who will be “on call” for a variety of projects during the contract period. Under the JOC method, a public agency issues a request for qualifications and contractors respond by providing their qualifications and their price book for labor and materials to be supplied under the JOC. The agency evaluates contractor qualifications and selects the most qualified finalists to submit final proposals for each project. Once the JOC is in place, the agency can call upon the JOC contractor as needed for small projects, also known as work orders. The JOC contractor develops a scope of work, creates the plans and specifications needed to meet permit requirements, and identifies subcontractors to perform the work. The price for labor, materials and equipment is determined using the price book identified in the request for qualifications, and the contractor’s overhead costs are calculated using the contractor’s agreed upon markup. JOC is a useful tool that procurement managers use to streamline a wide array of small public works projects. Although the JOC process does not necessarily reduce costs, use of this method results in faster job completion, predictability of costs, and simplified procurement process. Public owners want to know that a contractor is qualified and capable of satisfactorily completing the work, before awarding them the contract. The procurement manager greatly reduces the risk of increased costs and poor quality by awarding the contract to a firm that has demonstrated its qualifications, experience, and reliability. The most common way to ensure a bidder is qualified is to incorporate “responsibility” criteria in the bidding process. In the design-bid-build approach, responsibility criteria are limited because they are applied “post-bid” – that is, any contractor may submit a bid on a project and the responsibility criteria are not evaluated until after the bid is awarded and the determination made. There are disadvantages to this method. By the time an apparently successful bidder is selected, the low bidder has invested considerable time in putting together a bid and feels a sense of entitlement to the contract. It is not likely that the low bidder will accept a finding of non-responsibility and simply walk away. A bid that is rejected based on a responsibility issue may create a perception of preferential treatment. This could lead to a legal challenge or at least slow down the project. Depending on the outcome of the challenge, the entire bidding process may have to be repeated. The impact to the project can be costly and frustrating to all parties. Save time by conducting contractor prequalification while completing the construction documents. Agencies will get to the bid opening just as fast and lose no time after bidding with responsibility determinations. Reduce administrative time and save on bidding costs. Prospective subcontractors only need to submit bids to pre-qualified primes, and only pre-qualified primes need to assemble bids. Over time, this should reduce everyone’s overhead and lead to lower bids. Be upfront with contractors. With pre-qualification, the contractors that fail to qualify are notified at the beginning of the process, before collecting sub-bids and submitting a bid. With no investment in the project, they are less likely to protest. Some people are concerned that limiting the number of bids received may lead to higher costs. However, the savings from eliminating project cost overruns, delays, and poor quality from less qualified contractors are likely to outweigh this expense. An important variation of Design-Bid-Build is multi-prime contracting. In this method, the owner holds separate contracts with contractors in various construction work disciplines, e.g., general construction, earthwork, structural, mechanical, and electrical. Using this approach, the owner or its construction manager, manages the overall schedule and budget. Multi-prime contracting has gained favor as another method of “fast-tracking” construction. Projects in each construction discipline are bid separately, allowing the procurement manager to award construction contracts on the first portions of the project as soon as the respective aspect of design is completed. The flexibility of this approach is a major benefit, when time of performance is a key factor. The owner has more control over the project schedule and sets the timeline for bidding individual portions of the work. Furthermore, the owner has the potential to realize savings by directly procuring major material items, such as structural steel or major mechanical equipment, and avoiding contractor mark-ups. 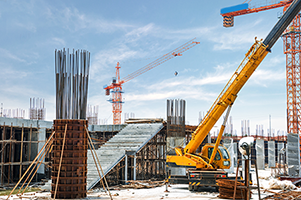 Research has shown that public construction projects organized with multiple prime contracts have 5 percent lower direct costs than those with a single prime contract. Public procurement managers are familiar with “best value” procurement in the context of professional services, but this method is much less common in the context of public works procurement. In Best Value Source Selection, contracts are awarded to the provider with the best combination of performance qualifications and price. Value is clearly a subjective term, but it can be quantified through multiple, weighted criteria and judged by a panel of evaluators. It is important to determine non-price criteria and their relative importance based on the context of the bid: the type of project, scale, and required completion date. A study in the Journal of Construction Management and Economics found that past success, financial stability, credit rating, experience, ability, management personnel and management knowledge were most predictive of project success while safety record and length of time in business had the least impact. Another study in the same journal found, through linear regression, that technical expertise, track record, time in business, work methods and working capital significantly affected contractors’ time, cost, and quality performance. These non-monetary factors paint a larger picture for the procurement manager and highlight the contractors that offer the most reliability and experience for their price. Best Value Source Selection can be accomplished in a one-step or two-step process for bid opening and evaluation, and even incorporate contractor pre-qualification. Electronic bidding platforms are a useful tool in managing and enforcing the specific procurement processes associated with each method. They are particularly effective when multiple methods are used in conjunction. By using electronic templates for bid forms and accessing a library of required contract documents, Procurement managers can rapidly and consistently assemble, advertise, distribute, and receive bid information. Electronic sourcing systems promote transparent and auditable procurement by maintaining an audit log and enforcing standard processes. Built-in analytical tools can help the procurement team accurately analyze bid responses. ProcureWare is a modern electronic bidding platform that can help your organization effectively manage these construction procurement methods. Watch our product overview video to learn more. To receive updates to our blog and news content, please provide your email.